Vanilla Orchid has an incredibly strong vanilla scent to the dry tea. When I first smelled it, I thought of vanilla pudding. The oolong base isn’t as noticeable as the vanilla that was added to it, but the tea is lovely. The vanilla reminds me of baking, which is always a pleasant memory/thought/activity. I love vanilla. There’s a very light floral aroma with the oolong base, but it doesn’t overpower the vanilla. Vanilla Orchid is made up of: Huang Jin Gui Oolong from Anxi in Fujian Province, natural vanilla flavouring. Only two ingredients! 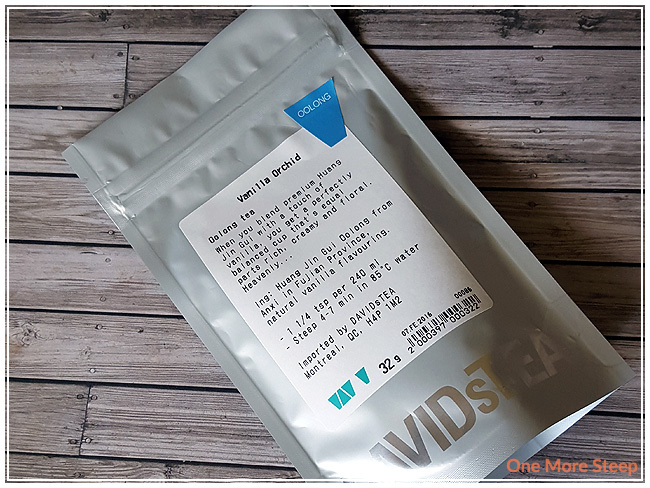 DavidsTea recommends steeping Vanilla Orchid in 75-80°C (167-176°F) water for 4-7 minutes on their website, the label that printed with my tea in February of this year was 85°C. I steeped it for about 4 minutes for the first steeping. Vanilla Orchid steeps to a pale yellow. The tea is smooth, no bitterness, and has a very light floral taste to it. 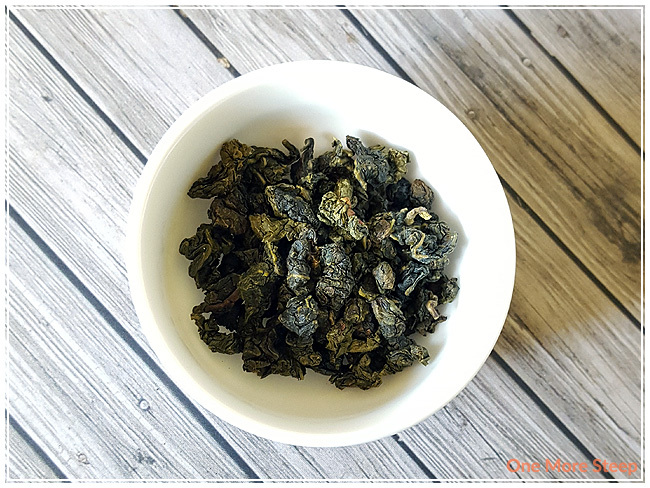 Overall, the vanilla flavouring is very strong and overpowers the oolong base. The first steeping is delicious, I wish the oolong base was more pronounced, but the tea is delicious. The tea leaves unfurl and they’re about two to two and an half inches long. Vanilla Orchid resteeps well. I steeped it an additional three times. 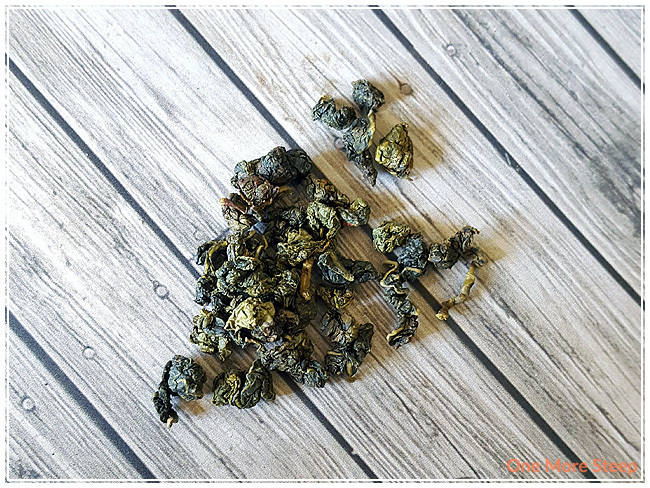 The vanilla flavouring lessened with each subsequent steeping, but the floral oolong taste becomes more pronounced with each additional steeping. Vanilla Orchid has this creamy taste to it that isn’t noticeable until the second steeping. The tea leaves opened up mostly with the first steeping, but they finish unfurling and opening up by the second steeping. I liked DavidsTea’s Vanilla Orchid. 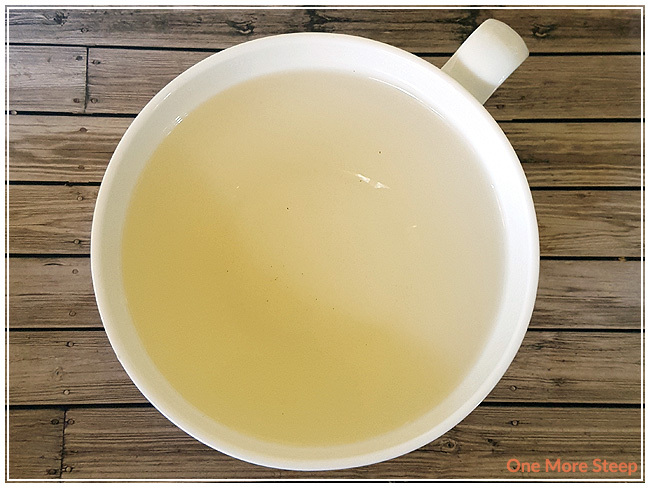 The vanilla flavouring is delicious, but I thought the tea improved with the second and third steepings because the natural floral taste of the oolong was stronger. 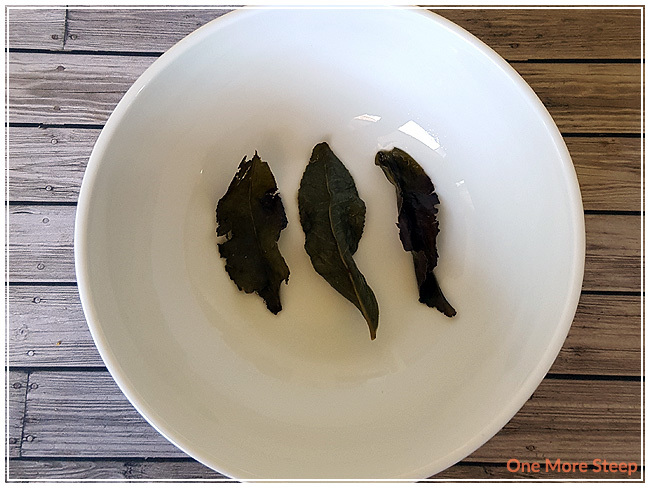 I think the first steeping was the most like vanilla pudding (which I liked), but the oolong base has a lovely, creamy floral taste to it that is second to none. I’d be interested in trying this tea without the added vanilla base, but it does make a decent cup of tea.